I love learning new things. Setting up and creating this blog has been fun and certainly a learning experience. I can see, as with everything else, this lesson will be an on-going journey. That’s what is so great about writing–we as authors are always learning. That’s what keeps us young, I’m sure. One of the best parts of this new endeavor has been the connections and re-connections with others. Writing can be a solitary endeavor, but with this medium, we can reach people wherever they are with their computers. I’ve received e-mails and phone calls from relatives and friends I haven’t heard from in a long time. 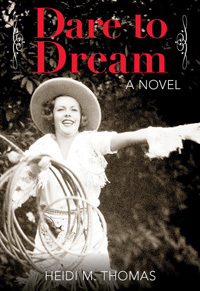 One cousin was so excited to hear that my book, Cowgirl Dreams, based on my grandmother, might be published in the near future. He’s been asking me for the past 10 years when that book was coming out. So, Don, thanks for keeping after me! Connecting with others is a basic human need, and writing is one way we have to accomplish that. If just a short sentence can lift your heart and make your day sing, then the journey is worthwhile. 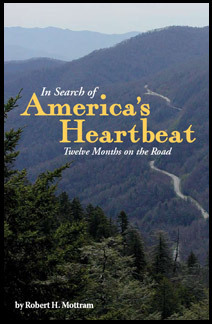 My guest today is Robert H. Mottram, author of In Search of America’s Heartbeat: Twelve Months on the Road, available at http://www.rvacrosstheusa.com. I found this a great reading trip for armchair travelers. Not only an entertaining travelogue, this book weaves in the story of loss and grief as Bob’s father reaches the end of his life’s journey during the same time. Bob is a retired award-winning journalist who worked as a daily newspaper reporter, feature writer, columnist and editorial writer. 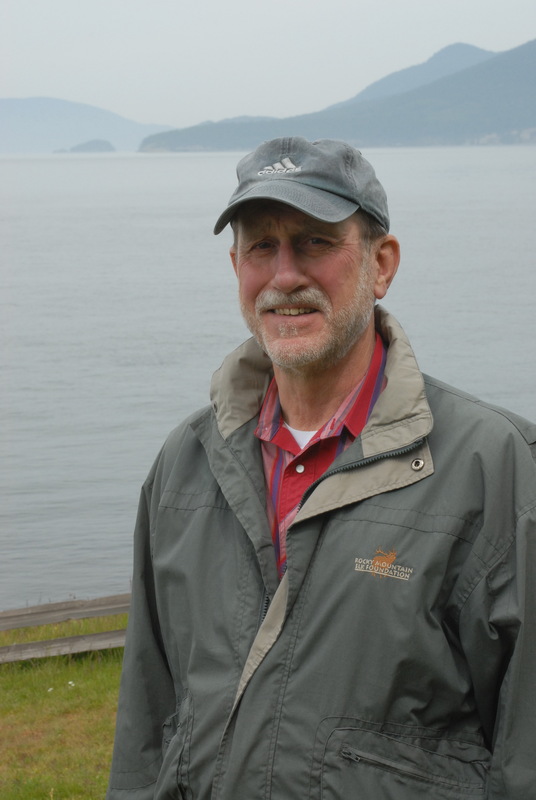 He spent nearly eight years with The Associated Press, including tours as a New England and Alaska Correspondent, and news supervisor in The AP’s Seattle bureau. When you started your trip, did you intend to write a book? The book offers a bit of history from each place you visited, along with the anecdotal flavor and regional humor of the residents. Did you do research while there or later? Both. In a holdover from my days as a professional journalist, I carried a small tape recorder in my shirt pocket, and recorded my impressions extensively throughout each day. In the evening I transcribed each day’s recorded notes on my laptop before writing about that day’s experiences. I’d learned years ago that a person records observations and impressions much more extensively with a tape recorder than with pen and paper. And you don’t have to stop driving or walking or whatever to do it. I happen to be a writer who likes to work from lots and lots of notes. They help to spark my memory of events that I’d otherwise forget, and they provide details that my mind is not able to retain — such as the color of a person’s eyes and whether clouds drifted across the sky or the sky was clear and blue. Some of my research involved talking with local people. Some information came from brochures and historical plaques, the contents of which I read into my tape recorder. 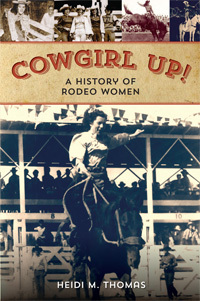 Some information in the book came from my prior knowledge of history or events, and some came from research that I did — mostly on-line — later, while writing the book. I love how you intertwine your dad’s story with your travelogue. It’s a poignant, heart-story of love, life and death. How/when did you decide to combine the two? At first I intended to write only the travelogue, which I did after returning home at the end of the trip. Then I attended a writers’ conference during which 12 or 15 participants including myself were sitting around at one point in a sort of a focus group where we each described the project on which we were working. I talked about my travelogue, which I thought was very interesting. I’ve always been a person who loves the open road, who has to see what’s around the next bend, who can’t leave a country lane unexplored. 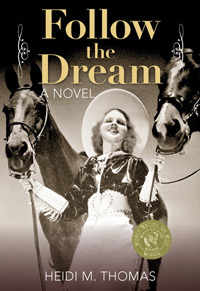 I would love to read the kind of book I’d written. However, the others in my group didn’t seem as enthused. They were polite, but I could see that my project hadn’t grabbed them by the lapels. Somehow, during the course of our conversation, my dad found his way into it. A few in the group asked me some questions about him, and I found myself talking about my dad’s journey, which went on simultaneous with my own. My journey was one of exploration, with horizons that grew wider and wider as we followed the highways across America. His journey was one of loss, with horizons that shrank almost to nothing as he trod his hopeless path into senile dementia. As I talked with the focus group, I happened to notice that my companions had come alive. Their questions came faster and faster, and the energy level in the room had gone sky-high. “This is really interesting,” one of them finally said to me. “You need to write about your dad.” I went home and thought about it for a couple of weeks. It would be a big step, because my dad’s story was so personal. Would a reader really find it interesting? The focus group had persuaded me that the answer might be yes. But in order to write about something so personal I would have to lay down my sword and my shield and expose some vulnerable areas. Would it be worth the risk? I finally decided that it would. I’d learned years earlier, while writing columns for The News Tribune in Tacoma, Washington, that it was personal things that connected in a primal way with readers; that reached them where they lived and that prompted them to respond. So I took my book apart and rewrote it, weaving the story of my dad’s journey into the story of my own. There are some great anecdotes, such as the “clothing optional” campground in California and pumping your own diesel in Vermont. Have you kept in touch with many of the people you met? What was your favorite place (besides home)? America is full of my favorite places. The list would be quite long. I’ll mention a few. Arizona surprised both Karen and me. In theory, the desert never had appealed to us from afar. We’d had no particular desire to go there or to spend time there. What we found when we got there is that it’s a fascinating and beautiful place that’s brimming with wildlife. We had a wonderful time there, and plan to return regularly. New Mexico was another surprise. We found its culture really engaging. Of all the places we’ve seen in America, this is one of the most distinctive, particularly its architecture. If you suddenly awoke in some small town in New Mexico it would be hard to believe you were anywhere else. Florida surprised us, perhaps because we hadn’t expected much from it. We went there primarily for the weather; to await the arrival of spring so we could travel north through the Appalachians. What we discovered was that we had a really good time there. The palm trees, the white sand beaches and the blue water were beautiful. The bird life was phenomenal. And the people were great. Our visit to the Great Smoky Mountains was the first for each of us, and it’s hard to describe how interesting — not to mention how beautiful — this area is. It’s a corner of the country we had looked forward to with great anticipation, and it didn’t let us down. The music and the food and the history provide a cultural banquet that you couldn’t consume entirely even if you had a whole lifetime to do it in. Northern New England and northern New York are must-see places for any American. The history there is integral to who we are as a nation, the countryside is tremendously attractive, and the people are salt-of-the-earth. 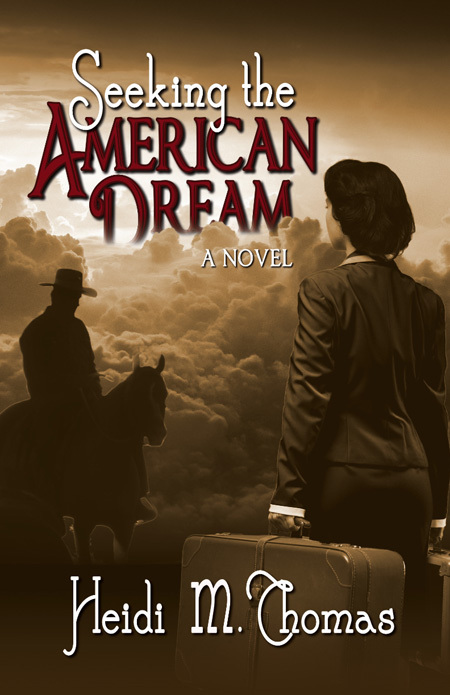 In Search of America’s Heartbeat is a great title. Do you feel that you found it? Share with us your conclusion. Did you and your wife, Karen, learn something about each other on this trip? Yes. One of the things we learned is that, if we have to, we actually can get along together 24/7. This is not to say we didn’t have our disagreements. But before the start of our trip, the question of compatibility loomed large in our minds. We’d always gotten along reasonably well, but on the other hand we’d lived for the immediately prior 30 years in a five-bedroom house. After the kids grew up and took off, we had all that space to rattle around in, and to get away in if one of us needed to be alone. Also, we both worked full-time, in my case usually more than 40 hours a week, and we each had other outside interests that we pursued independently. Could we really get along, even just tolerate each other, living cheek-to-jowl in a small trailer seven days a week? Some couples can’t, we knew. To our happy relief, we discovered that — for the most part — we did just fine. Call it good luck. Would you do the trip again? We’ll probably never be in a position to do a trip like that again. This one came at just the right time in our lives. We both had retired (on the same day) from our jobs in Tacoma, Washington, and had sold our long-time home, according to plan. Although we had purchased a retirement home in Anacortes, Washington, several years before, it was occupied by renters until we wanted to move into it. So, we were free from the constraints of work, the sale of our home in Tacoma permitted us to pay off the house in Anacortes, leaving us debt-free, and the renters in our Anacortes house helped support us on the road. We had no overhead, except for costs associated with living in and traveling in the trailer. What we found was that we were able to live in the trailer and travel America for less than it had cost us to live in Tacoma and pay utilities and taxes for a large house. I can tell you this, though. Had we not had the house in Anacortes awaiting us, we wouldn’t have quit our journey as we did at the end of the first year. Both of us would have liked to keep going. For how long, I don’t know. It was only the home and the new life awaiting us in Anacortes that enticed us off the road. You recently retired after 40 years in journalism. When did you realize you wanted to become a writer? Was it always journalism? People had told me since I was a kid that I seemed to have a talent for writing. English was one of my favorite subjects in high school and junior high. I sold my first free-lance magazine article when I was 15. Most people discover some talent for one thing or another, whether it’s writing, cooking, carpentry or karaoke. It’s wise to go with your strengths. My goal, since about my middle to late teens, was to become an outdoor writer, either for magazines or newspapers. Along the way, however, after journalism school at South Dakota State University, my career got sidetracked. I spent nearly eight years with The Associated Press as an editor, a newsman and a correspondent, and additional years with newspapers, during which I covered a variety of things such as politics, crime, courts, the military and so forth. I didn’t succeed in attaining an outdoor writer’s position until the age of 39, and by then wondered if I still really wanted it. I decided to try it, and spent the last 24 years of my career in that position — the happiest 24 years of my life. It depends. When I worked for The News Tribune I would work at home on those days when I did the bulk of my writing, thanks to telecommuting, often starting at 8 or 9 o’clock in the morning and writing for 12 or more hours before stopping for dinner. With The Associated Press, I was constantly on deadline — some newspaper or broadcast station somewhere in the world was on its deadline every minute of the day, we figured, and that meant we were, too — and while writing under deadline pressure could tie your stomach in knots, it was terrific training both for writing and for learning how to concentrate. I’d probably be a game warden or a wildlife biologist. You’ve had one book published, Saltwater Salmon Angling, which will be re-released in the near future. Are you planning to write another book? Any fiction on your horizon? Don’t know yet about another book, but probably not any fiction. I love to read it, but don’t think I have the imagination necessary to produce it. Do you have some advice for young writers going into journalism? Yeah, remember that you’re writing for one person at a time. You’re not speaking to a crowd. You’re conversing with a single individual, the guy who at this moment is holding your story in his hands, and it’s a very intimate relationship. Very much one-on-one. If you’re determined to go into journalism, you’ll find that it’s an interesting life, but newspapers are a struggling industry these days, and it’s not clear whether they’ll survive as an institution. If they do, nobody knows in exactly what form they’ll be. No matter what brand of journalism a person enters, however, he or she will find it a high-stress endeavor. It can be exciting, but it produces a lot of casualties in terms of failed marriages, alcoholism and other problems. A lot of people try it for awhile and then move on to something else. Thank you for joining me today and giving us insight to creating a book like this. My best to you in your future writing endeavors. 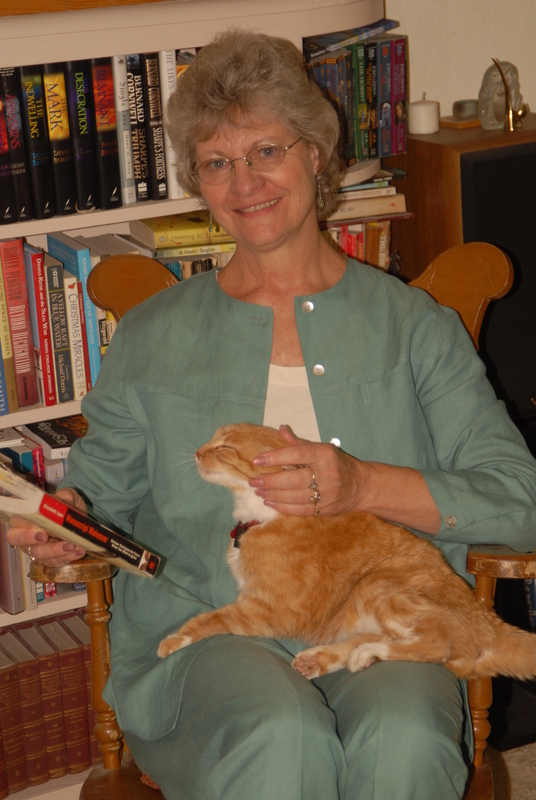 Hi, I’m a longtime writer, a journalist and a pre-published novelist. I love everything about books and writing. So much, in fact, that I want to share what knowledge and experience I have gleaned through the years. So, in addition to writing for myself, I edit manuscripts for others and I teach classes in Memoir and Beginning Fiction Writing. I live in the beautiful Pacific Northwest, have a wonderful and supportive husband and two pesky cats. 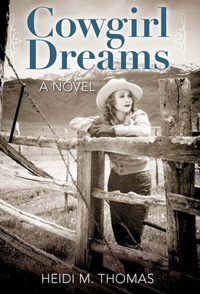 I belong to the Skagit Valley Writers League, Women Writing the West and Northwest Independent Editors Guild. My purpose here is to share whatever knowledge or experience I’ve gleaned throughout my years of writing and reading. I want to talk about the writing process, discuss techniques, interview other authors, and kick around ideas. So, come on in and sit a spell. Let’s have a cuppa together and chat.